If you feel lost in your church right now, you are not alone. If you read scriptures looking for answers, and you either find the same old passages or stuff you just don’t understand, you are not alone. 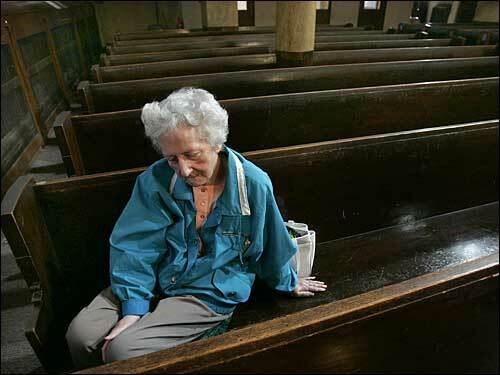 If it seems like you are the only one your age in your church or with your viewpoints, you are not alone. If you continue to go to church, hoping to feel the Spirit or because you need rescue from the heavy feeling that can haunts you all week…and you rarely find it, you are not alone. If you are shut in and beyond a friend’s reach or in a hospital bed and no one seems to visit you, you are not alone. If you rage at the world, teetering on whether to give up or lash out, you are not alone. If you’re having a hard time feeling good anymore, you are not alone. If you started feeling numb a long time ago and it feels like your life is a bad movie you keep watching, you are not alone. If the world doesn’t make sense to you anymore, you are not alone. If you feel isolated because only happy people are on television commercials and the people around you see seem shallow, you are not alone. If you are in a bubble and don’t feel like you can actually reach out and feel someone near you, you are not alone. If you wonder why your grandchildren don’t call, you are not alone. If you’re afraid your kids will never get off drugs or out of debt, you’re not alone. If you cut or wonder if you can give up the addiction, you’re not alone. If you don’t think you’ll every dig out of debt, you are not alone. If you’ve lost your job recently and just can’t find work, you are not alone. If you are under 30 and have cancer or know someone who does, you are not alone. If you feel like you were born in the wrong body and you’re just not sure who you are or want to be, you are not alone. If you gave yourself away to someone and, now, hate yourself and regret it, you are not alone. What’s missing on this list? These are all things that have touched my life personally or through family or a friend. Chances are, whatever you are feeling or struggling with, there are others who are struggling too. There is healing in finding common experience. There is hope in real community. You are also not alone because some believe that God, the maker of the universe, came down to have a human experience. He experienced injustice, abandonment, tragedy, and victimization by the world he lived in. They said he would come, so they named him, God-with-us. If you’re looking for a sign, well, here is one.